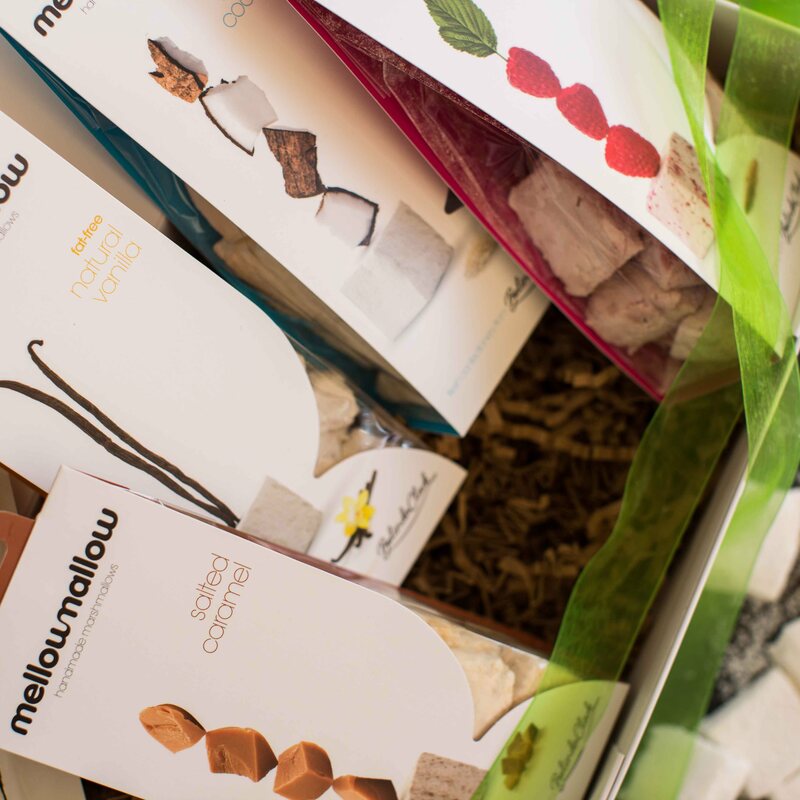 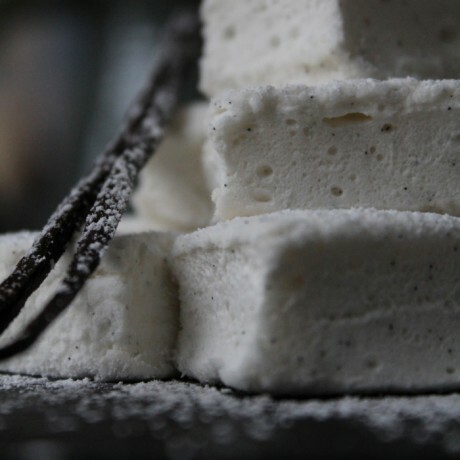 Hand made, award winning, all natural gourmet marshmallows presented in a beautiful white gift box with a magnetic closure, finished with a bespoke ribbon. 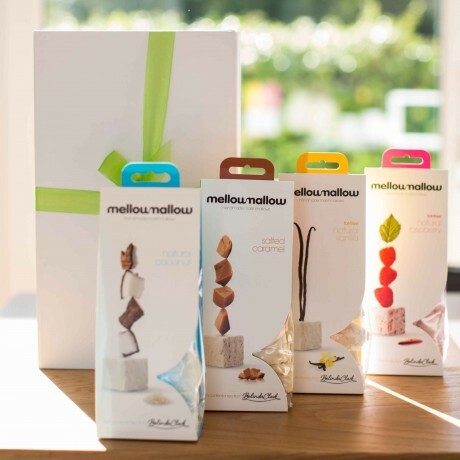 Best Sellers Selection: Raspberry, Salted Caramel, Vanilla and Coconut – a lovely selection to share with friends, toast over an open fire, or simply to enjoy with a cup of coffee. All presented in our signature white box – perfect to use afterwards for keepsakes. 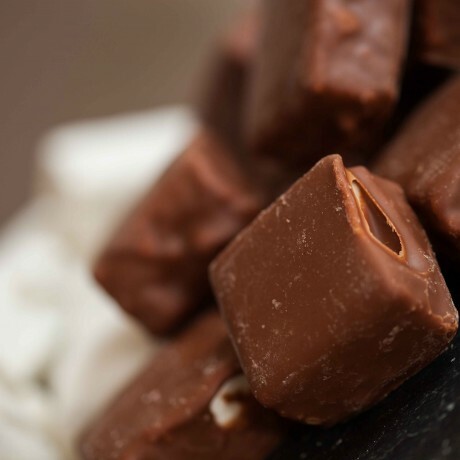 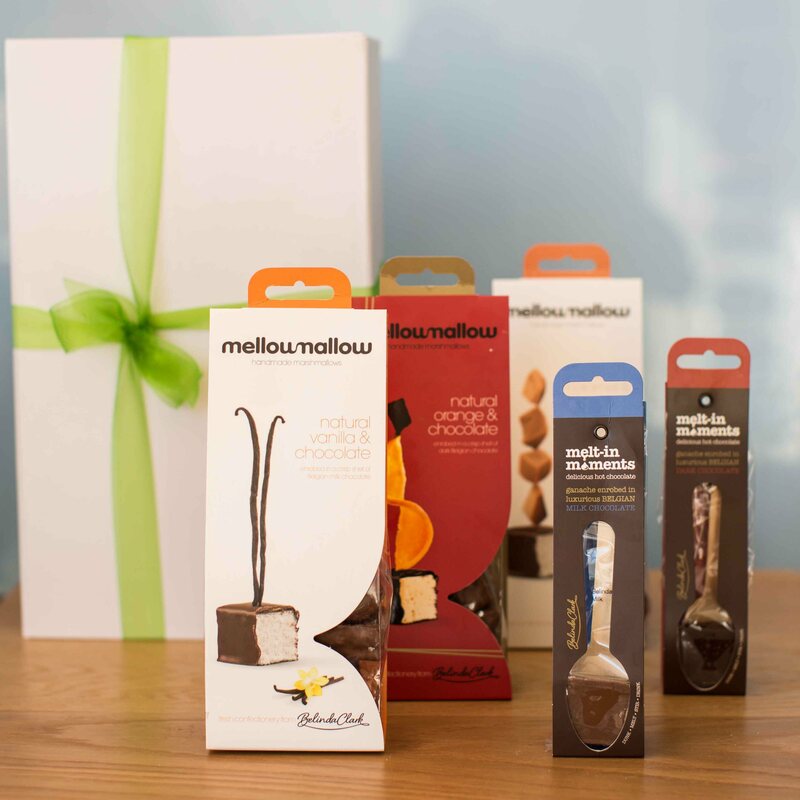 Chocoholics Selection: This luxury gift box contains two exclusive servings of gourmet hot chocolate – one milk and one dark – as well as three Belgian Milk Chocolate enrobed marshmallow flavours – Salted Caramel, Orange and Vanilla. Top your hot chocolate with your favourite flavour of marshmallow for the ultimate in hot chocolate decadence. 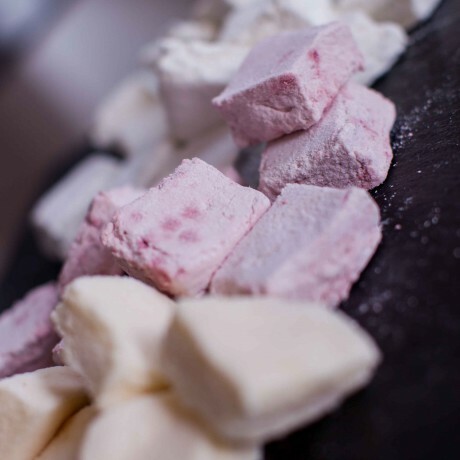 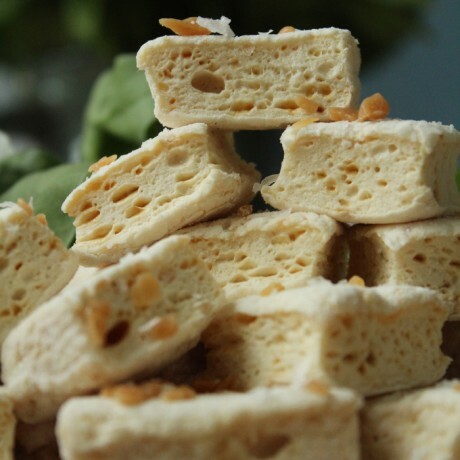 Each bag of marshmallow contains 85 grams of hand cut marshmallow, typically ten moments of delicious fluffy heaven. 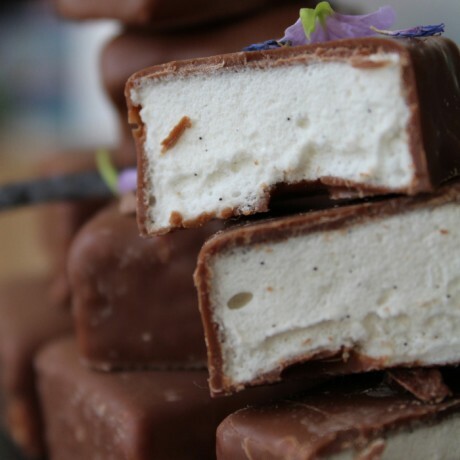 Please see our single flavour listings for full ingredients list.